These were supposed to be a ‘snack,’ 🤷🏼‍♀️ but they were so good we made a meal out of them! 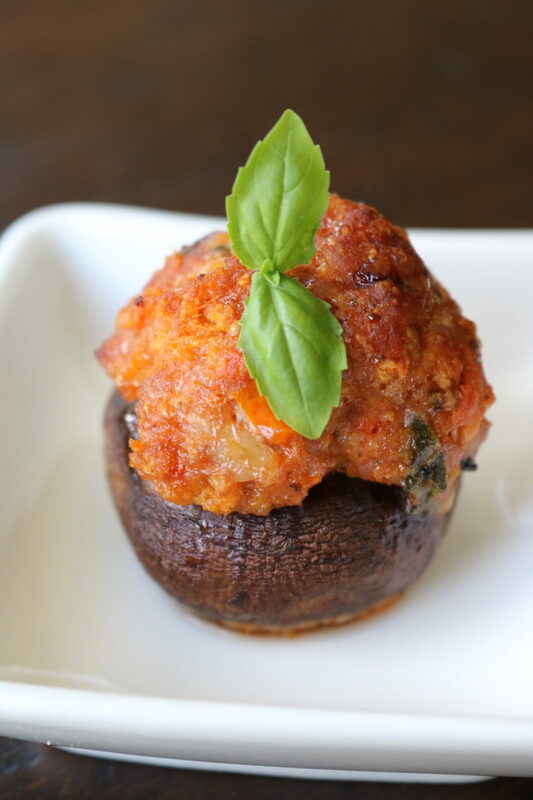 Find our Chorizo Stuffed Mushroom 🍄 recipe on the blog now! Add the sausage, panko, half & half, garlic, shallot, oregano, tomato purée, parsley, basil, and Parmesan to a large mixing bowl. Hand mix until well combined. Roll a small sample meatball and microwave for 30 seconds to tase for seasoning. Add salt and pepper to taste. Remove the stems from the mushrooms and arrange in a large baking dish. Fill each mushroom with sausage stuffing. Bake for 20-25 minutes depending on the size. Remove from the oven when the mushrooms are soft and the stuffing is golden brown. Garnish with a sprinkling of grated Parmesan and fresh basil. Enjoy!